Got a new car? Refreshing your old ride? 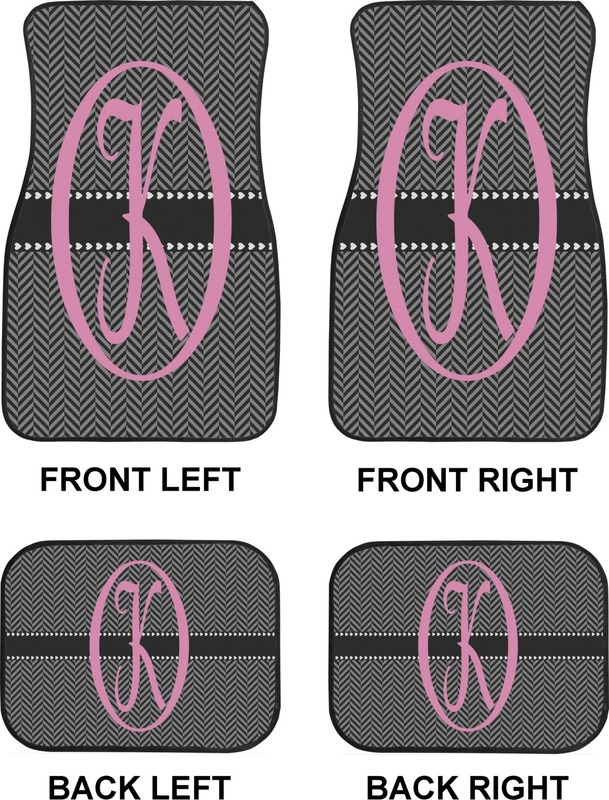 Extend your individual style to your vehicle with our our personalized car mats. We have so many different designs and patterns for you to choose from. Many of the patterns come in up to 45 different colors! Get a set to match your style and car color. All our custom car mats are made especially for you. 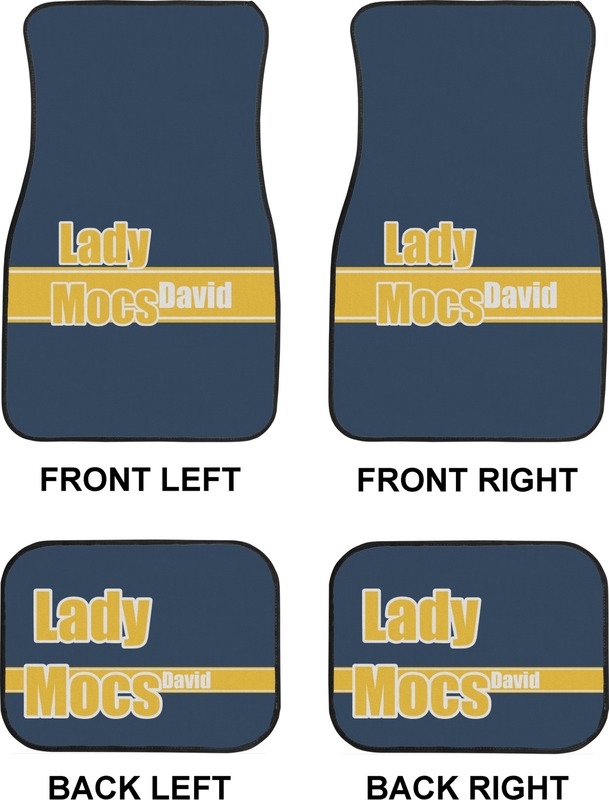 You can personalize each mat individually in our customization interface. You can have the front car mats say Mr. & Mrs. Johnson while the back car mats say each of your kids' names on them! These car mats have black finished edges and durgan backing to ensure they don't slide around underneath you or your passenger's feet. They also protect the floors from dirt, grass, or mud and are easy to take out and clean!! The car floor mats are standard size to provide a versatile fit for all vehicles. The front row custom print car mats are 17" x 26.5" and the back seat mats are approximately 17" x 13". Be sure to measure the floor area where you wish to put them or even measure your old car mats you are replacing. We want you to be satisfied with your purchase! Decking out your whole car? Be sure to check out our personalized car seat covers and fantastic steering wheel covers! Each can be found in our Car + Automotive department. I love my new floor mats and shoulder straps.it was wonderful that I got to personalize my own mats,I would have done the seat covers but they won't fit my seats.i give the company 5 star rating.only thing I wish the floor mats had is the little nubs on the bottom. Fantastic item & great customer service! I got these for my grandaughter's 16th birthday. She absolutely loves them!